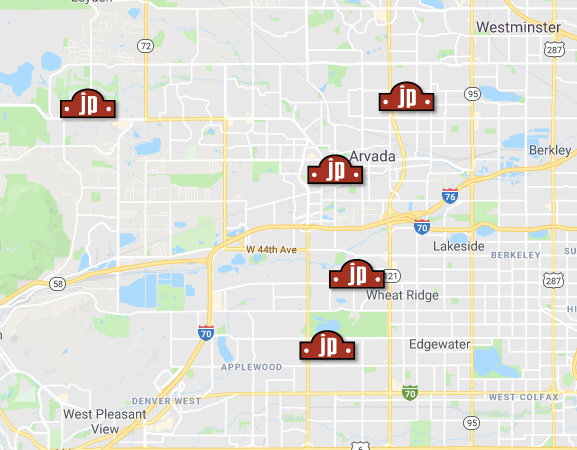 Jaxpointe Homes offers five beautiful residences, state licensed by the Colorado Department of Public Health and Environment for assisted living. We deliver care for individuals who need a secure setting. Each home includes a complement of services, a lifestyle filled with appropriate activities, nutritious meals, and the love and attention residents deserve to live with purpose, structure and support. Our original house opened in December 2009. Close to Ralston Rd. (58th) and Independence. Our second house opened in July 2015. Located east of Wadsworth and 64th. Our third house opened in August 2015. Located in North Lakewood east of Kipling and 20th. Our fourth house opened in September 2015. Located in West Arvada near W. 64th and Quaker St.
Our fifth house opened in April 2016. Located near Wadsworth and 38th, one block from Lutheran Medical Center.